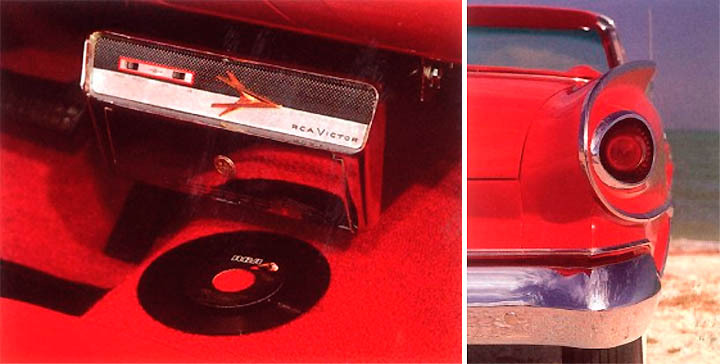 We'll start with a retro expose of the car record player... and highlight a few other vintage devices along the way, which still retain their novelty and coolness factor for collectors. 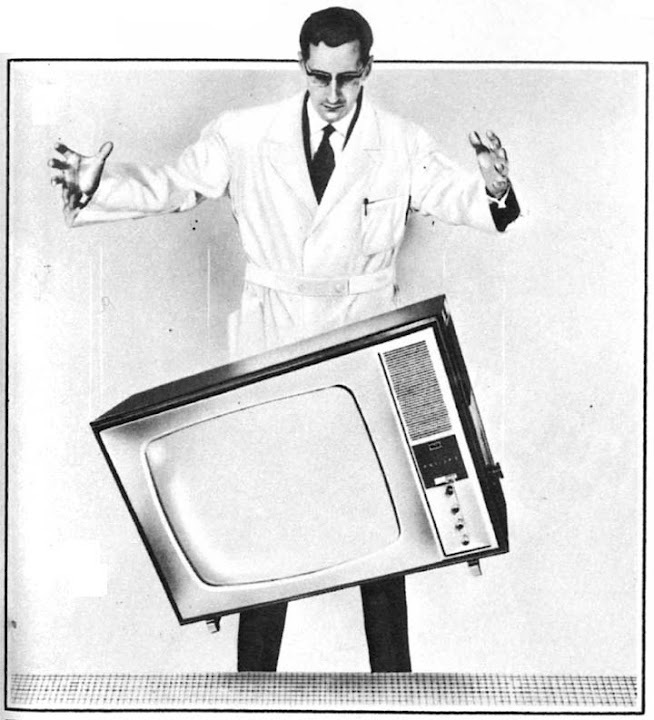 Don't miss our previous articles on Coolest RetroTech. Car audio equipment has changed a lot over the years, and what used to be cutting edge is now buried in the realms of yesteryear. But, somewhere along the way and unknown to a lot of people, a record player was actually starting to gain a foothold as a choice for your cruising music source. Yes, a record player. Now, these were not your standard "lift the arm and place it on a record" type players. Instead these were specially designed units that did their best to keep playing music even when bumps in life came along. But no doubt fiddling with a record in a moving car did little to keep it pristine. 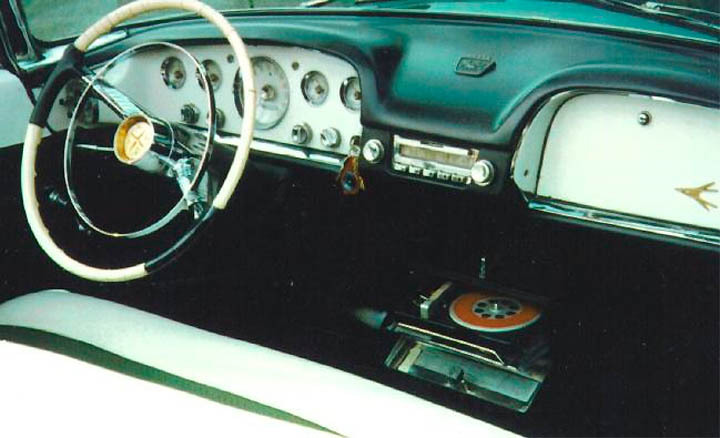 The problems of playing and maintaining the humble record soon led to alternatives for automotive based music, but we thought it would be fun to take a glimpse during that short amount of time in 1956 that the car record player almost became a staple thanks to Chrysler. 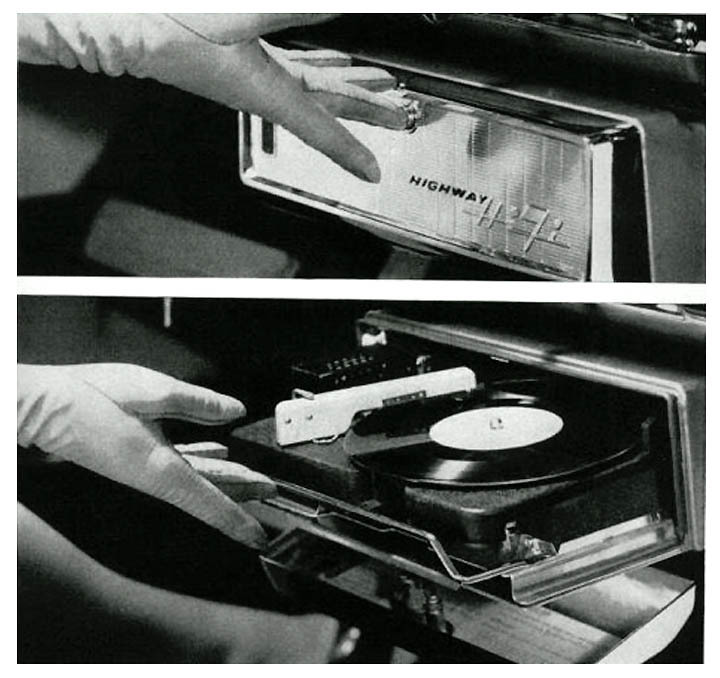 It might be good to note that the car record player did not play a standard 45 rpm record. While the 7 inch record looked like a 45, it was actually designed to spin around at 16 and two/thirds rpm, much slower than 45. They also used a new format (ultra-microgroove), which allowed for more grooves per inch. Together the new format and slower rotation gave a playing length of almost an hour, much more practical than changing the record every song as you were trying to drive. And the records were available in a variety of musical selections, considering the year. From Tchaikovsky to Gene Autry, music lovers could find a favorite for their traveling musical taste. 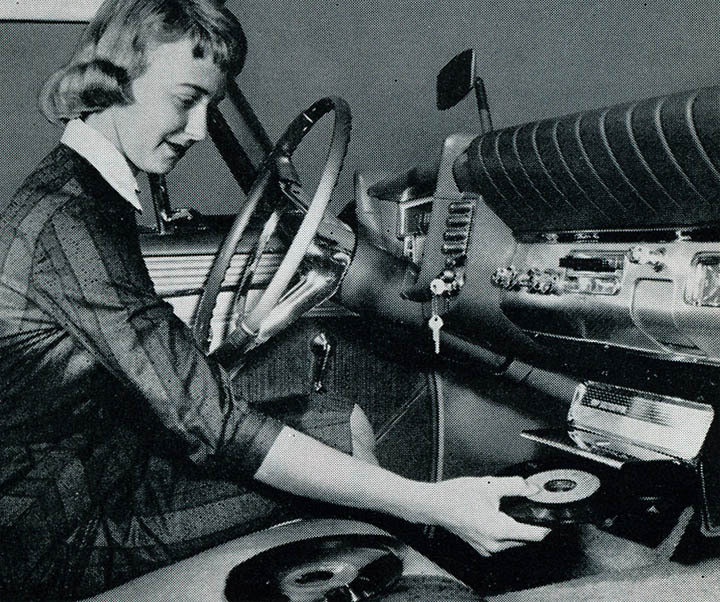 Chrysler dubbed its player the "Highway HiFi", and it was packing a lot of technology for its time. A silicon fluid controlled tone arm pivot minimized the sudden movements while still allowing the arm to gently follow the record grooves. 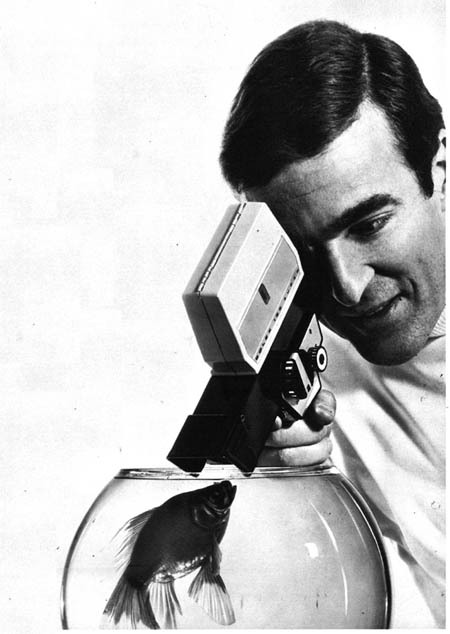 A counterweight made sure that the cartridge did not add any weight to the surface of the record. In this way the player avoided skips without introducing additional wear and tear to the record itself. The fluid damping movement avoided the destructive forces that a spring loaded assembly would have introduced to the playing process. 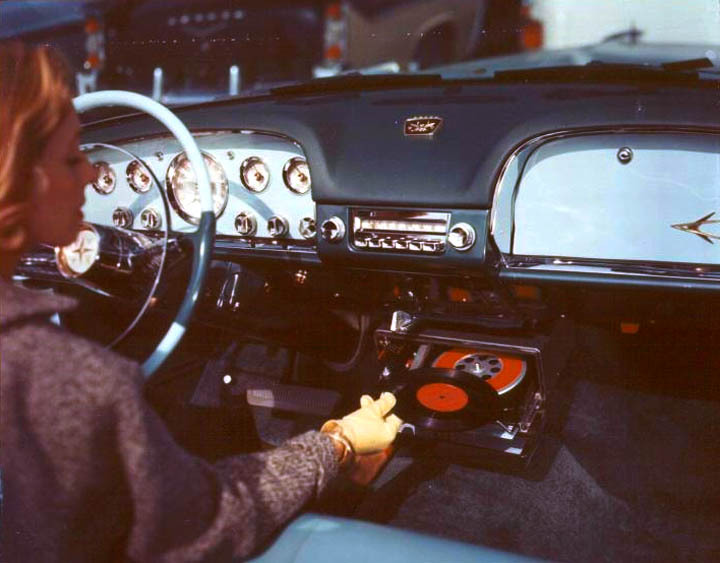 1956 car record players were pretty well received in the media: many heralded the new technology's ability to take your music with you on the road in places where the radio might not reach. Even celebrities such as Lawrence Welk were shown enjoying their tunes in their classic cruisers. 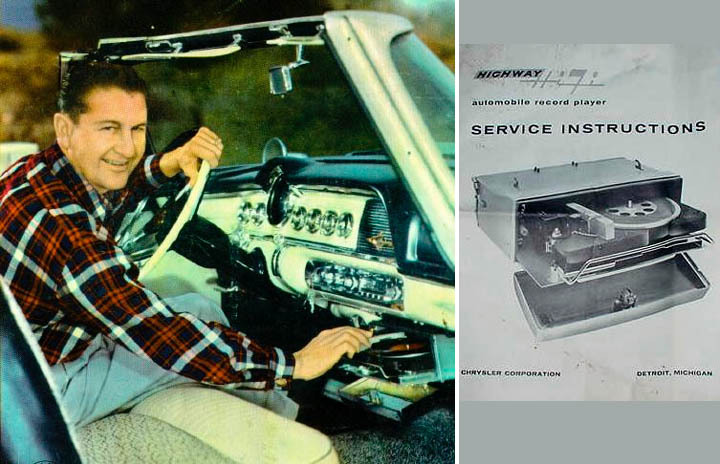 However, the general public was simply not buying into the concept (even when Chrysler tried to revive the idea early in the sixties with a trunk-mounted record auto changer). 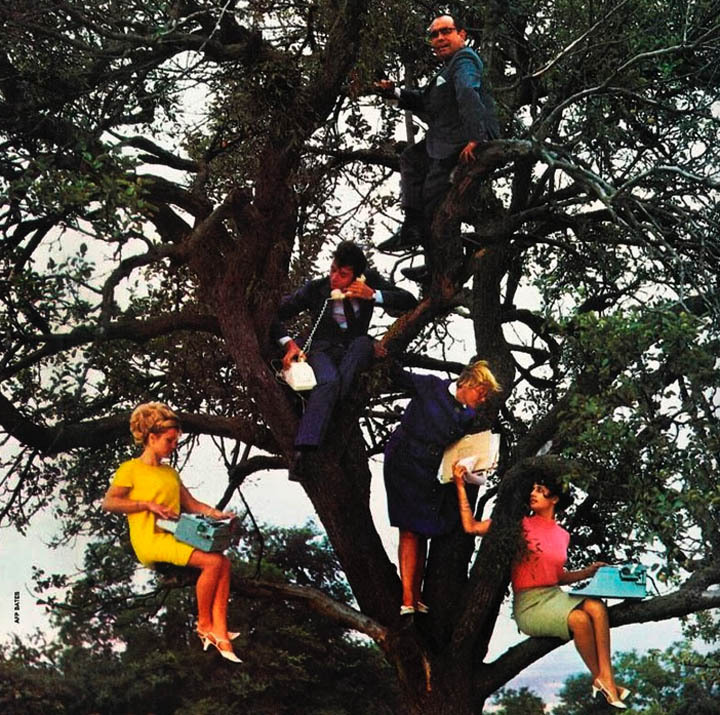 Eventually consumers would find a format for their traveling music that they would indeed accept and buy in droves. That wasn't until late 1968, when the 8 track tape player made its debut. 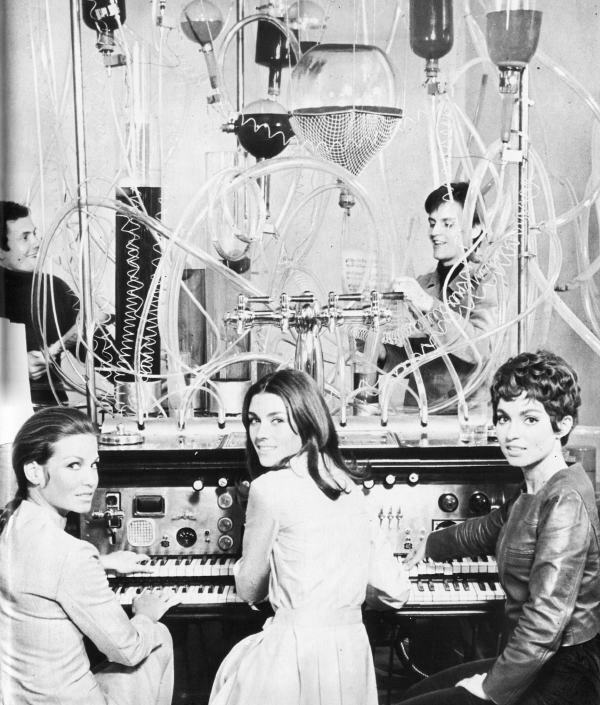 This portable "scent organ" was meant not only to boost creativity, but to also serve as a testing ground for deodorants and the cosmetics industry. 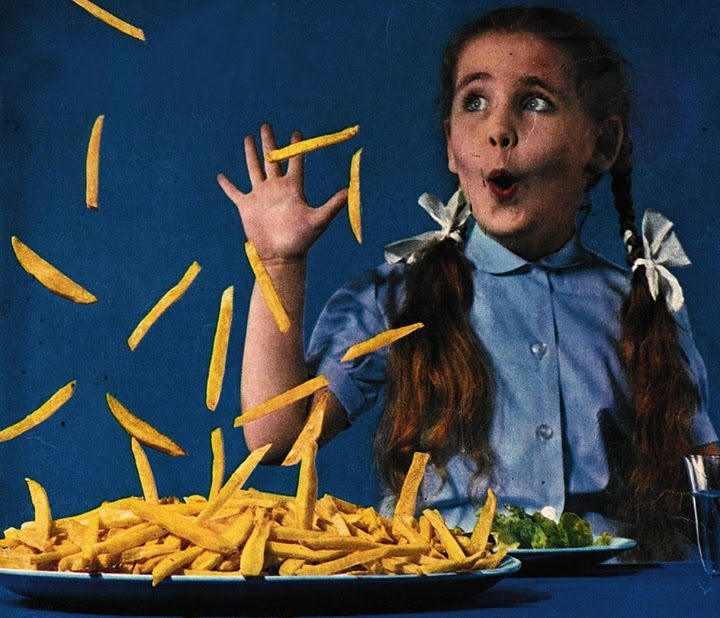 Stay tuned for more wonderful vintage devices covered soon! There was also the VW Microbus that plays records by driving over them! 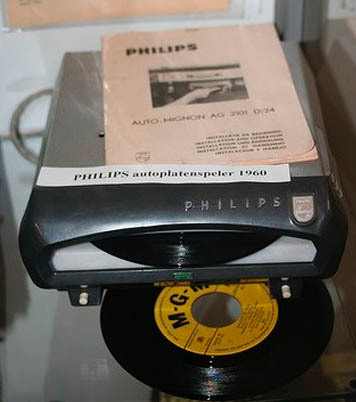 The in-car record player is how the cellphone manufacturer Motorola got its name. Back then, a brand of turntables was called Victrola. The company that was to become Motorola wanted to make a portable turntable for the car, and so called it Motor-ola. wow. i never know about this before. it sure beat current I.C.E tech. Hmm, I guessed you missed the news, iPhone OS 4 will add multitasking adn the iPad gets the update in the fall. So, after the fall, you'll have to move along and make fun of something else. Maybe MSFT's dwindling market share? Rick - can't wait for the iPhone and iPad to get multi-tasking. Will happily adjust article when this happens! The ipad worked better and had more features when HP made it about five years ago. I bet that was not at all a fun driving along trying to change the record every two minutes. There was a machine by Bush, called the discassette. It had a slot not unlike modern Cd players and the 45 simply slid in. I have an old Philips record player I haven't used since the sixties but I'm restoring an old truck and would put it in there if I could use some kind of FM transmitter or plug it into the custom auto sound radio I have for it. Any body have any idea if this is feasible or not?